A beautiful and nature-filled website for this non-profit dedicated to protecting Sussex County’s natural heritage. 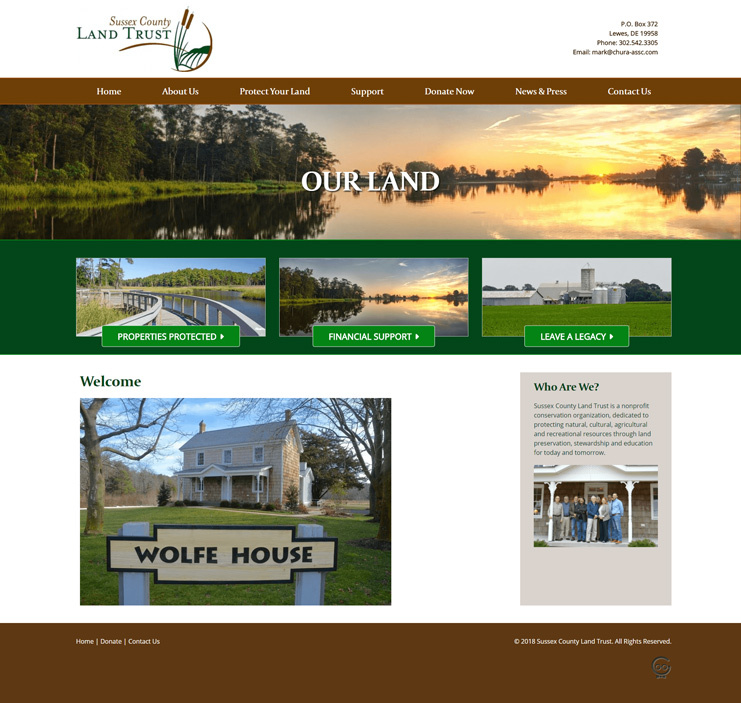 This client needed a new website to accomplish 3 goals: educate the public on their mission and purpose, gain financial support from the public, and encourage the public to support them in protecting Sussex County Land. Techno Goober designed this site with the client's 3 goals in mind. We used clear calls to action on the home page to guide the visitors through the website. The special donations page gathers financial support for the non-profit. Additionally, the news and press section keeps the public informed on the organizations progress.